Get the free mobile app New Age Sun for Android and iTunes! 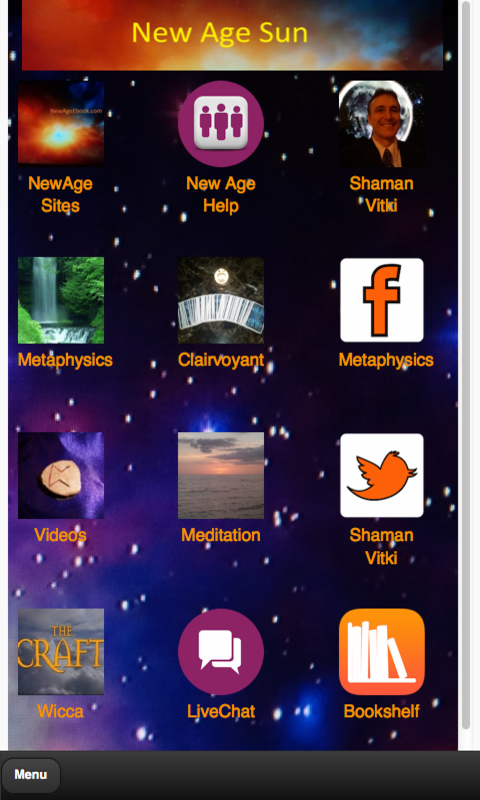 New Age enlightenment and metaphysical information on topics such as spirituality, meditation, metaphysics, crystals, psychic reading, numerology, life-path numerology, runes, runic divination and magical uses, clairvoyance, Tarot, Wicca and witchcraft, shamanism, and new age ebooks and blogs by New Age author Shaman Vitki. The app also includes a live chat feature and social wall. The application includes several videos as well.